Mary Alice Fontenot was born just outside of Eunice, Louisiana, in Acadia Parish. As a child, she often spent time at her grandfather's farm in Bayou Tigre, taking a train to Erath, then joining him in his buggy. Childhood memories such as these served as inspiration for many of her books. Fontenot worked for thirty-five years as a journalist for various publications, including the Lafayette (Louisiana) Daily Advertiser and the Crowley (Louisiana) Post Signal. She wrote features for newspapers and hosted a radio show on KSIG-AM in Crowley, Louisiana. Fontenot also taught kindergarten classes at St. Edmund Elementary School in Eunice and eventually took classes at the University of Southwestern Louisiana in order to improve her French. Honored numerous times for her writing, Fontenot was awarded the 1998 Acadiana Arts Council Lifetime Achievement Award and the Louisiana State Library Award. In 2003, she was named a Louisiana Legend by Louisiana Public Broadcasting and a Living Legend by the Acadian Museum of Erath, a program that recognizes individuals who help shape Cajun culture. Fontenot was best known for the Clovis Crawfish series, eighteen books that are published in both English and French. The character of Clovis was initially a product of boredom, created on a slow day at the Lafayette Daily Advertiser when Fontenot's editor left her in charge. The character wasn't even a crawfish at first, but Fontenot soon made it so to make it truer to her Acadian heritage. Through the character of Clovis, children learn moral values such as kindness and caring over adversity and meanspiritedness. Fontenot's other Pelican titles include the children's books Mardi Gras in the Country and The Star Seed, a Christmas tale. Fontenot died May 12, 2003, at the age of ninety-three. For more information about her life, please read MAFPDF.pdf. Author and educator Julie Fontenot Landry is continuing where her mother left off with the Clovis Crawfish Series. Her mother, Mary Alice Fontenot, named a Louisiana Legend by Louisiana Public Broadcasting and a Living Legend by the Acadian Museum of Erath, is the author of eighteen Clovis Crawfish books. Born and raised in south-central Louisiana, Landry remains true to her Cajun background. A teacher for more than forty years, Landry is also a singer and dancer. During the summers of 1968 and 1969, she and her husband performed in the Stephen Foster Story, a musical drama in Bardstown, Kentucky. She also writes music and plays. In the 1990s, Landry narrated and translated, in French, her mother's Clovis Crawfish books, Clovis Ecrevisse et le Crapaud Curieux, Clovis Ecrevisse et l'Araignee Que File, and Clovis Ecrevisse et Bidon Tortue Terestre, among others. Landry resides in Orange County, California, where she teaches seventh and eighth grade language arts at a nearby Catholic school. She lives with her husband, and they enjoy spending time with their grandson and being outdoors in the beautiful weather. As part time illustrator, Blazek has executed designs (in some cases — bas relief plasters) for numerous commemorative medallions/coins. He got his start in 1966 with Mardi Gras “doubloons” racking up hundreds of 6″ pen & ink designs over five decades. He designed the obverse for the 1989 Central States Numismatic Society’s 50th anniversary commemorative medallion (awarded through a national competition). He also designed the obverse for the 1993 — U.S. $5.00 gold coin commemorating James Madison & the Bill of Rights (one of six accepted designs out of over 850 nation–wide submissions and produced at the U.S. Mint at West Point). Some of his over medallions include the anniversary of the death of Martin Luther (1996); two “Prayer Coins” (1998 & 2000), Katie Luther (1999), and the first Reformation commemorative medallion of 21st century honoring the 600th anniversary of the ordination of Jan Hus (1401 – 2001). Blazek is currently working on a series of medallions, in conjunction with and available from the American Lutheran Publicity Bureau; each commemorating a formative event in the life of Martin Luther as we approach the 500th anniversary of the the Reformation in 2017. Blazek has also designed numerous award-winning posters (including the 1997 Clovis Music Festival) and has illustrated eleven published children’s books (nine in the Clovis Crawfish series – Pelican Publishing Co.). He has also taught six semesters of Art Appreciation at Clovis Community College (1994 – 1995). 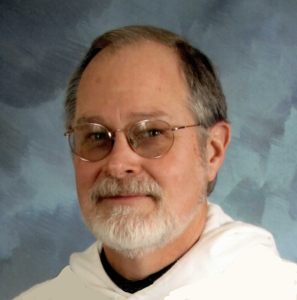 Blazek has written and illustrated five coloring books entitled: God’s Ten Commandments for Small Children (1998), The Lord’s Prayer for Small Children (2000), The Nature of God for Small Children (2001), God’s Gifts for His Children (2002), and Super Heroes of the Bible (2007). He’s been showing his pen & ink drawings in the Albuquerque MasterWorks Miniature Exhibit over the years, and in 2008 received the Bardean Gallery Award for his entry. He was honored to host a one man exhibit at the Eula Mae Edwards Gallery, Clovis Community College, entitled, “Give Me Shelter” in 2010. Blazek resides in Clovis, New Mexico (a mere coincidence to the name Clovis Crawfish — authored by Mary Alice Fontenot in the 60s-90s) with his wife Margaret, a teacher in the Clovis school system. They have five adult children: two boys and three girls. Blazek enjoys working with portraits, historic and religious themes in pen & ink, acrylic and bas relief sculpture. Sarah Gauthier Roy is a native of Carencro, Louisiana. She is a graduate of Carencro High School, and the University of Louisiana at Lafayette. Sarah holds a Bachelor of Arts degree in Performing Arts with an emphasis in theatre. Sarah has been performing on stage for over 20 years within her community and nationally. While living in Southern California, Sarah worked for the San Diego Repertory Theatre doing Stage Management. In 2006 she worked for the Traveling Lantern Theatre company and toured the US performing plays for children. When Sarah returned home in 2006, she took the stage at local theatres. Her favorite roles include: Lil Bit in How I Learned to Drive at UL Lafayette, Mother Superior in Nunsense! at UL Lafayette, Meg in Crimes of the Heart at Cite des Arts, Judith in William and Judith at Theatre 810 and the Acadiana Center for the Arts, and starring in the one-woman show, The Blonde, the Brunette, and the Vengeful Redhead. In 2014 Sarah co-wrote and co-starred in an original cabaret-style musical, The Bumpy Road, at Theatre 810. She recently directed The Kingfish, starring Aren Chiasson at Cite des Arts. Sarah has been teaching theatre through the public school system's Talented Arts Program since 2010. The Talented Program fosters the development of the artistic talents of kindergarten through 12th grade students identified by the Louisiana State Department of Education as having extraordinary talent in Music, Theatre or Visual Art. These students are serviced weekly by professional teaching artists. Sarah has serviced hundreds of students at several schools throughout Iberia and Lafayette Parish. The thing Sarah does most is mother and wife. Sarah is married to Justin Roy, also a Cajun and native of Lafayette Louisiana, and they are raising 3 amazing children, Juliet (7), Imogen (3), and William (2). These children inspire her to never leave the fun behind. Chad Viator has been working as a musician and teacher for over 15 years. In 2000 he graduated from the University of Louisiana obtaining a BA in music concentrating on classical guitar performance and electronic media. During this time he was given the opportunity to study with Dr. Gerd Wuestemann, Manuel Barrueco, Christopher Parkening, and John Holmquist. Chad participated in various guitar competitions in the United States winning the Pine Belt Guitar Symposium and Lamson Guitar competition in 1998. Upon graduating, he began to travel across the United States as well as internationally as a guitarist performing in many festivals including: The New Orleans Jazz Festival, The High Sierra Music Festival, Cayamo Cruise, South by Southwest, D-Fest, Festival Du Voyageur, Louisiana Crossroads, City Stages, The Waterfront Blues festival and has shared the stage with artist such as Sonny Landreth, Jimmy Buffett, Los Lobos, Michael Doucet, Johnny Allen, Belton Richard, Roddie Romero, Joel Guzman, GIVERS, The Acadiana Symphony Orchestra, Stanton Moore, Mark Broussard, and others. In 2017 he was nominated for a Grammy award for his work on the album Gulfstream by Roddie Romero and the Hub City Allstars. Chad is currently teaching music for the Lafayette Parish gifted and talented arts program. In addition to teaching and performing, Chad has started Picture Book Sound Studio which specializes in film scoring and music recording/production. Chad has composed and produced music for LCVC, Makemade, Construct Films as well as various independent directors and songwriters. guitar/bass studies at the Acadiana School of the Arts, is a teaching artist for the Lafayette Parish School System's Talented Arts Program, and is also a freelance musician, recording artist and engineer in Lafayette LA. Danny Devillier received a Masterʼs degree in music theory and composition from the University of Southwestern Louisiana in his hometown of Lafayette where he continues to work as a professional performing musician, composer, arranger, and educator. He has performed, toured, and/or recorded with some of the regionʼs most respected and well-known musicians including Terrance Simien, Beausoleil avec Michael Doucet, David Egan, Dirk Powell, Anne Savoy, and the Sleepless Nights, Joel Savoy, Balfa Toujours, Mem Shannon, Theresa Andersson, Anders Osbourne, The Pine Leaf Boys, Cedric Watson, Feufollet, and many more. He continually works as a composer and arranger on a wide variety of projects ranging from commissioned orchestral, symphonic, and percussion ensemble piece, film scores, and projects accompanying theater and dance. 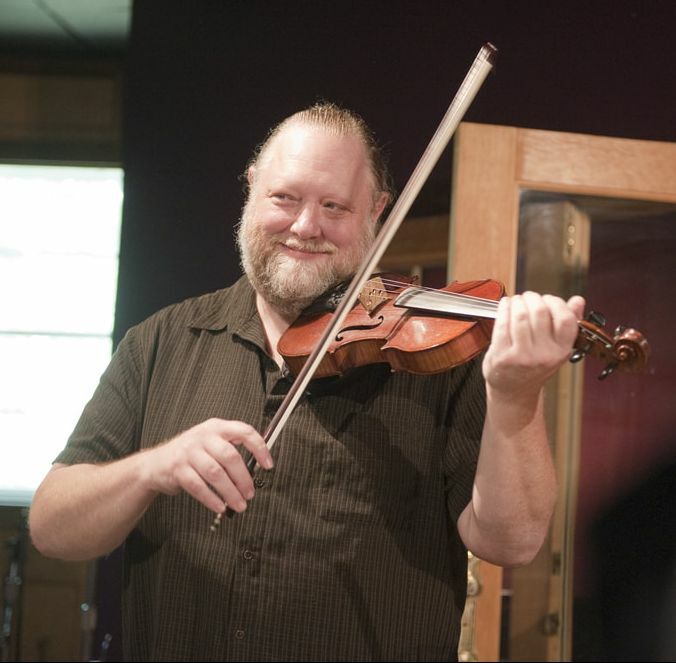 He currently runs The Music Room; a private teaching studio in downtown Lafayette that educates music students of all ages in a variety of areas. He is also an an adjunct instructor of percussion in the Performing Arts department at U.L. Lafayette, adjunct music instructor at Southwest Louisiana Community College, and instructor at the Acadiana School of the Arts. He plays drums with the cajun band Bonsoir Catin, whoʼs 2014 Valcour Records release “Light the Stars” received a Grammy nomination for best regional roots record. Kristi Guillory has been playing Cajun music for 30 years and is a songwriter, poet, and lifelong learner of Cajun culture. Kristi earned a Master's Degree in Folklore at UL Lafayette, went on to be the first archivist at the Archives of Cajun and Creole Folklore. She currently teaches for the Traditional Music department at UL Lafayette. Kristi was nominated for a Grammy along with Bonsoir, Catin, the female-powered supergroup, for their album Light the Stars. Yvette Landry is a Grammy nominated, award-winning vocalist, multi-instrumentalist, songwriter and noted children’s author. She served as a Governor to the Memphis Chapter of the Recording Academy. She is a former board member for Louisiana Folk Roots organization and serves as director for their Kids Camp. A member of several bands, hyvette performs as an award-winning Louisiana honky-tonk artist, who travels throughout the US and Europe sharing her own music as well as the Cajun culture. Yvette also toured Russia as a cultural ambassador performing Cajun and Creole music while representing Louisiana and the United States. When not playing music, Landry stays busy as a private homeschool teacher, an adjunct professor at the University of Louisiana at Lafayette, and a sign language interpreter.